Broker Associate Elaine Palastrant is an award winning Realtor with a distinguished history of proven sales success, unparalleled client care and expert market knowledge. After graduating from Emerson College in Boston, Massachusetts, Elaine embarked on a real estate career upon arriving to Miami in 1974. Since then, she has aligned herself with the most prestigious real estate firms, including Cousins Realty which became Merrill Lynch, Prudential and then Coldwell Banker. 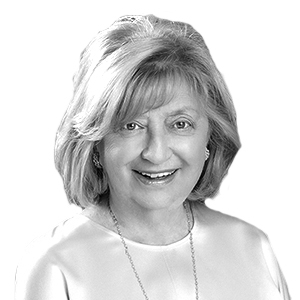 Now with Brown Harris Stevens, Elaine is a member of the quintessential luxury brokerage firm with offices throughout New York, The Hamptons, Palm Beach and Miami. Elaine's sales accolades include Charter Membership within the Master Brokers Forum, a by-invitation only real estate networking group of the most successful realtors, plus membership within the Leading Real Estate Companies of the World. Skilled in both residential single-family homes and condominiums, Elaine sold 12 luxury residences at Fisher Island. Years of experience include a client-centric approach, unrivaled tenacity and uncompromising commitment to discretion, coupled with open communication throughout the real estate process. Her client's sales success have contributed to repeat business and a constant stream of referral business. Creating a pipeline of buyers, sellers and investors, Elaine's network includes individuals from Florida, Brazil, Germany, Venezuela and Mexico and encompasses sports professionals, CEOs and corporate transferees. Here is a list of Elaine's most recent property sales, with the most-recent ones showing first. You may resort the list by clicking on any column.